That desk is either from IKEA or someplace spiritually close to it. 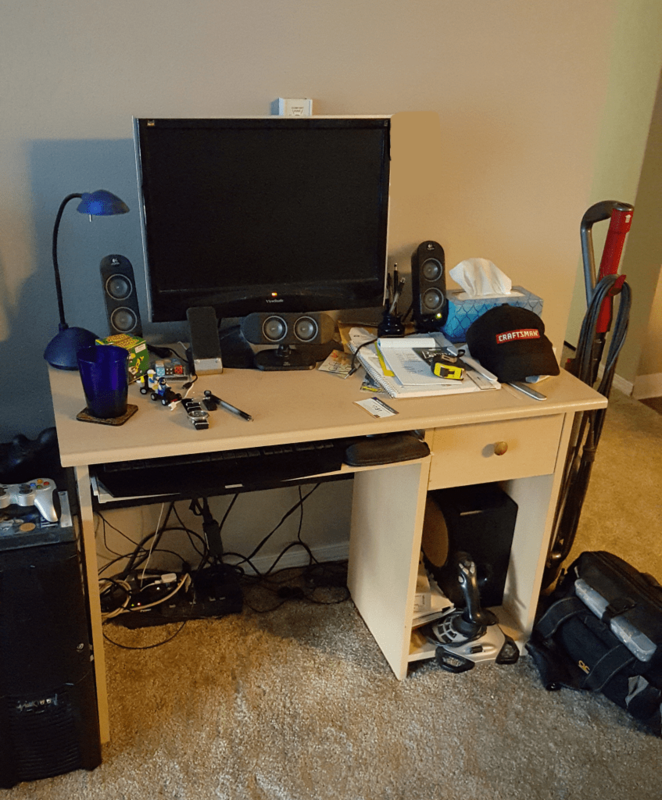 I picked up the desk way back in 1998 (ye gods) and I’ve been dragging it around ever since. (Shockingly enough, the cam screws are just as tight today as when I assembled it so many years ago.) It’s decent enough, but the wood is MDF and likely to fall apart on me if I do any serious work on it. The World has impinged itself upon my reality once again, and it appears I will be on a temporary hiatus from leatherwork while I figure out some changes. We ended up having to move last month, and ended up in an apartment without a garage – which has always been my workspace. The new apartment is on the ground floor, so I can probably get away with the noisy aspects of the craft (if for no other reason than the noise generated by the posse of rugrats that roams the grassy areas outside my windows), but we have a pair of cats, and one thing I know for certain is that cats + dye = 6 different kinds of mess. So, it may be a month or so until I sort this all out. Come back later this summer and see what I’ve managed. In other news, you may have seen a comment or two proselytizing the virtues of a particular leather supplier. I am currently investigating why they are trying to use my blog comment system for advertising. I’ll let you know what comes of it. EDIT* I did hear back from them once or twice with mild protestations of “I’ll look into this”, but in the end I had to block a subnet or three coming out of India. The company in question was obviously paying a rather shady search engine optimizer, who was in turn hiring cheap labor in New Delhi to astro-turf for them. This is an ad-free blog. If you see something that looks like an ad and I didn’t post it, then assume it is spam. Greetings and salutations – Da Wolfie here to welcome you to the site. 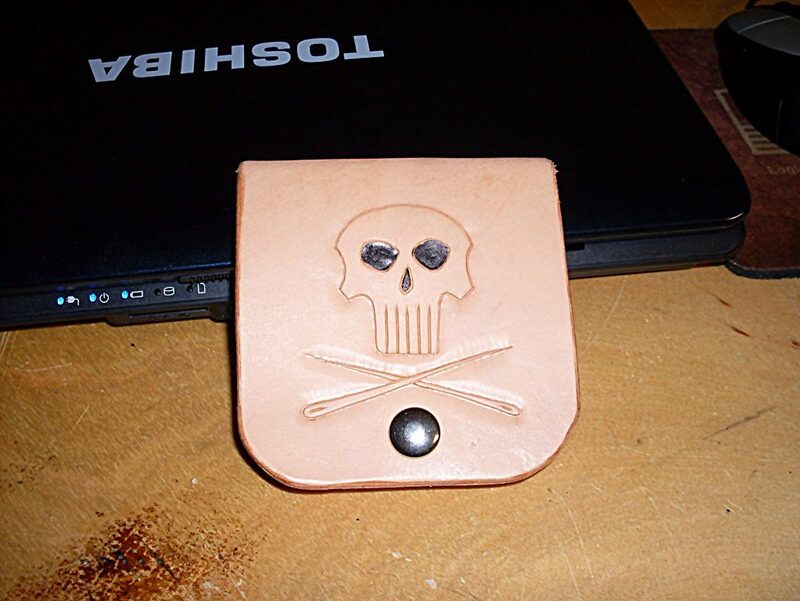 In my trawling through the ‘Net, I have discovered that leatherworking has by and large not made the jump to a digital medium yet. While there are a few sites that offer some good tips, there are a few things I had to find out the hard way. This site is an attempt to put some of that basic knowledge out there in a searchable format. 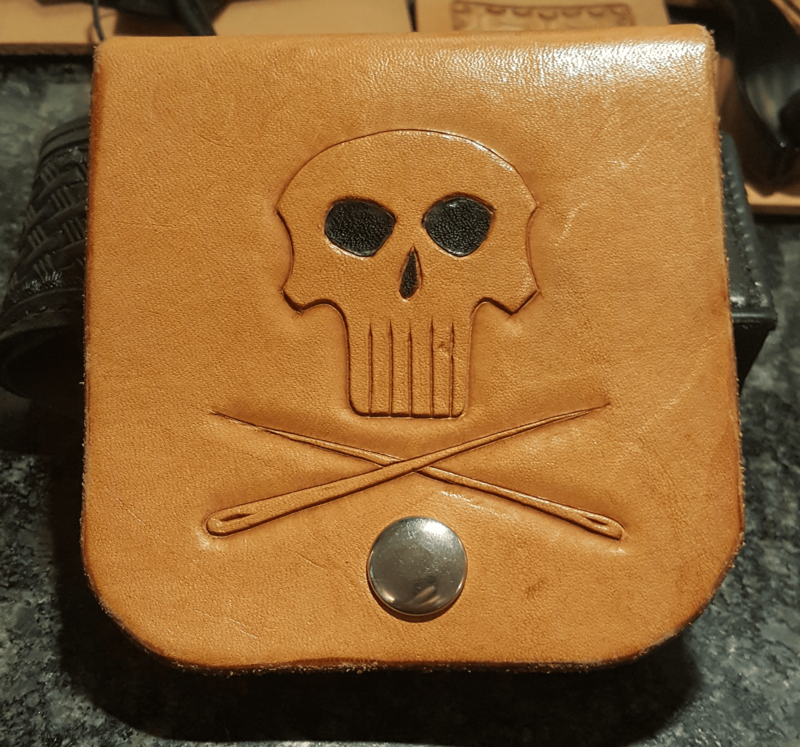 I may occasionally sell something through the merchant booth a friend of mine runs, but I’m not equipped to be taking custom orders anytime soon – I’ll leave that to the pros, like the guys at Leather Lore who you can see linked off to the right there.